Does Studying English Improve Your Chances of Working in Hospitality? People choose to learn English for a variety of reasons. One of the most significant and common reasons for undertaking an English course is to enhance employment prospects and increase your appeal as a potential employee. Hospitality is one of the main industries in which confidence and command of the English language offers distinct career advantages. Why is learning English (even as a part of another Diploma) so helpful to a career in hospitality? International trade and relations characterise the way so many businesses operate in this day and age, and English remains one of the most commonly spoken business languages. Because English is so often a common denominator for communication, it follows that people travelling all over the world and living and working in many different countries use English — in business, in hotels, in restaurants, bars and many other settings in which service is important. It is also the case that people learning English — perhaps in conjunction with a course such as a Diploma of Business or Diploma of Accounting — are able to combine their studies with work in the hospitality industry. Not only does work in the hospitality industry constitute valuable work experience, it also provides a wonderful opportunity to build and consolidate proficiency with the English language. Essentially, the ability to communicate using the English language makes travelling easier and facilitates quality communication with people from many parts of the world. 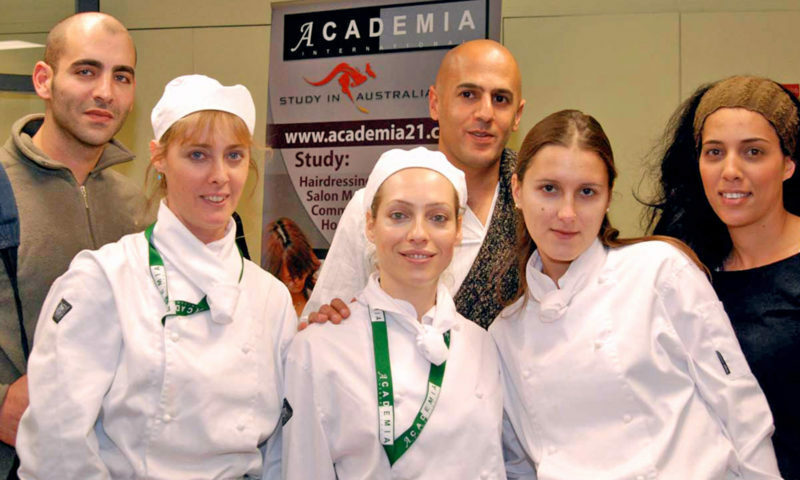 It is absolutely true that studying English enhances your chances of working in hospitality. Hospitality is a growing and thriving industry in its own right (and is therefore an appealing career option for many people), and experience in the hospitality industry is positively viewed by employers in a range of other industries who seek high-quality staff. In Australia, and many other countries, proficiency with English and confidence when using the language, are all but essential for working in the hospitality industry. If a person also wishes to progress and work their way up in the hospitality industry, knowing how to use the English language to effectively carry out their role and communicate with colleagues, customers and clients is critical. Even if a career in hospitality is what a person ultimately aspires to, education, skill and experience in using the English language is positively viewed and offers potential advantages when seeking work in other industries. When a student chooses to study English in an English-speaking country, they tend to more rapidly advance in understanding and skilful use of the language. When studying English in an English-speaking country, a student has more opportunities to hear, read and speak English and, most importantly, to put what they have learnt into practice. A person’s chances of working in hospitality markedly improve when they have had the opportunity to apply what they have learnt in courses to practical and realistic situations. By using English as the basis for communication, and because a non-native speaker will be so challenged to use the language, skills and confidence in using English will increase more quickly and, in many cases, enable the person to use the language more accurately. Overall, studying English offers the potential to improve your chances of working in hospitality. English is widely regarded as the world’s international language; it is infinitely useful to those working in the hospitality sector and can increase the appeal of candidates seeking work in this industry.